Carl started performing stand-up in 2005 and quickly established himself as one of the UK’s most exciting young comedians. His conversational, silly sense of humour saw him win a host of awards (Chortle Best Newcomer 2007,Leicester Mercury Comedian of the Year 2007 among others) and become a regular at all of the finest comedy clubs in the UK and Ireland. An Edinburgh Fringe favourite, Carl headed back to the Edinburgh Festival this year to perform his new show Now That’s What I Carl Donnelly: Vol V. This show brings a brilliant new collection of wry observations on current affairs and how we should all be dealing with them, and earned Carl a Fosters Comedy Awards nomination for Best Comedy Show. 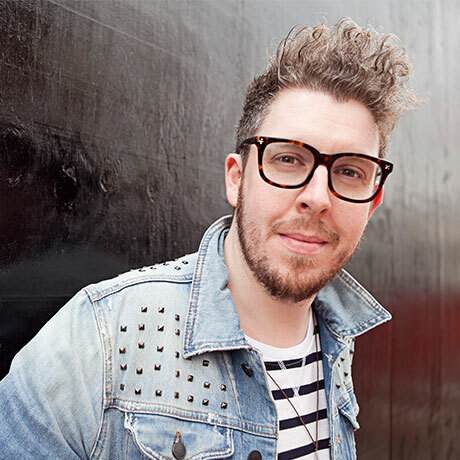 He is currently on his first national tour with his Fosters Comedy Award nominated show Now That’s What I Carl Donnelly: Vol V.
Carl has also appeared on various TV shows including Mock The Week,Dave’s One Night Stand, Stand Up for the Week and Russell Howard’s Good News. He is also a regular on radio appearing as a guest on such shows as BBC 5live’s Fighting Talk and The Back End of Next Week, and Radio 4’s ‘Loose Ends’ and ‘Act Your Age’ as well as being a regular guest ontalkSPORT. In 2009, Carl performed his debut solo show ‘Relax everyone, it’s Carl Donnelly!’ at the Edinburgh Fringe for which he was nominated for theEdinburgh Comedy Award for Best Newcomer. Since then Carl has returned to Edinburgh with two further solo shows as well as performing at the biggest comedy festivals in the world (Montreal Just for Laughs, Melbourne International Comedy Festival, Sydney Comedy Festival, Kilkenny Cat Laughs etc).